If you are a student considering attending college or university away from your home town or country, you owe it to yourself to look at Canada. Similarly, if you have a family and are considering leaving your home country on a temporary or permanent basis, you would be well advised to take into account all the advantages Canada has to offer on the education. Let us point out some important facts to help you make an informed decision. Canada has many fine universities, colleges and secondary schools across the country. Did you know that there are approximately 9,600 universities worldwide? If you comb the Internet you will find numerous university ranking systems. Among these, the QS World University Rankings (QS) is often cited as being complete and reliable. In the most recently published rankings (September 2010), Canada was recognized with having 10 out of the elite top 200 of the world’s universities. This is an impressive accomplishment, considering that Canada’s population only numbers some 34 million persons. 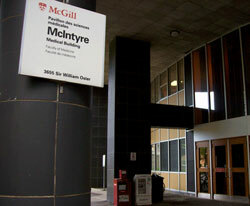 McGill University, located in Montreal, Quebec, ranks as Canada’s best institution and number 19 overall among the 200 top universities rated worldwide. The QS uses many factors to arrive at its ratings, such as reputation, research, comprehensiveness of programs, academic standards, quality and diversity of the students, among others. 165. University of Calgary, Calgary, Alberta. On the financial side, Canadian college and university tuition costs are usually far more reasonable than those at US schools, even with the premium charged for international students. In fact, even as a foreign student, you may save 50% or more by choosing a Canadian institution, depending on your program of studies. When you add in the comparatively reasonable cost of living in Canada, your savings can well amount to many thousands of dollars every year of your program. What if you want to move your family to Canada on a permanent basis? Then it is even more advantageous for you. If you and your family members are accepted as permanent residents, your children’s fees will be assessed at the same rate as Canadian citizens, rather than as international or foreign students. In such a case, the tuition fees can run 6, 7, 8 or even 10 times less expensive than those charged by comparable American colleges and universities for many programs. Whether you are a student or head of a family, you owe it to yourself financially to give Canada very serious consideration when choosing your program and place of study. From the point of view of a student coming to Canada on his or her own, taking your college or university training in Canada offers many advantages. First of all, depending on your program of studies, once you graduate you will be entitled to apply for an open work permit so you can work legally in Canada for up to three years after graduation. Second, during this time period, and again depending on your circumstances, you may be eligible to apply for permanent resident status without having to leave Canada. Third, eventually you could become eligible to apply for Canadian citizenship. It is important to note that to study legally in Canada, foreign students must obtain a Study Permit from the government of Canada, and, if you want to study in the province of Quebec, a Quebec Certificate of Acceptance for studies. Fogarty Law Firm is ready to provide full, professional assistance for any issue relating to studying in Canada, obtaining a work permit, applying for permanent residency, and becoming a citizen. You are welcome to Contact us.